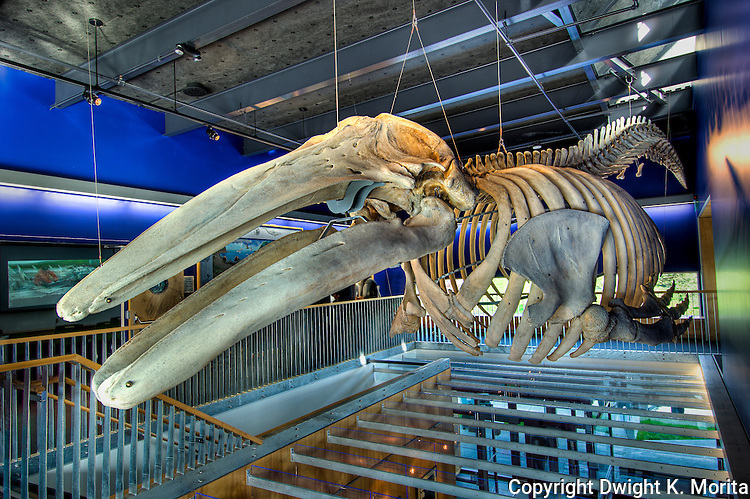 The skeleton of a gray whale is on display in the Visitor Center in Kodiak, Alaska. The skeleton is from a male whale whose carcass was discovered by Stacy Studebaker. Ms. Studebaker notified authorities of the find, but personally undertook the long term project to turn the death of this magnificent animal into an educational exhibit.